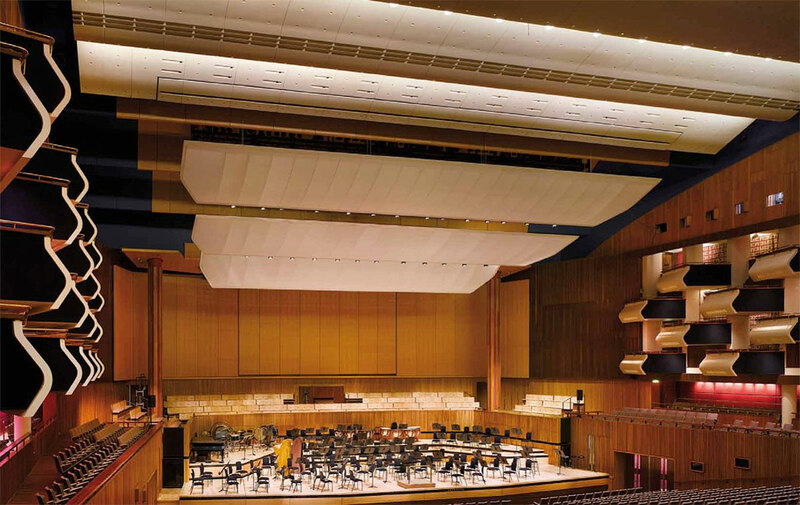 London’s Royal Festival Hall which is one of the most distinguished and leading concert halls in United Kingdom, has been equipped with doors in front of the big central organ – in connection with a major reconstruction. The movable panel frames were designed and produced by Art Andersen in collaboration with the architects of the reconstruction, Allies and Morrison. The organ doors consist of 8 6,5-meter tall, 500-kilo heavy panel frames which control the acoustics of the concert hall by electronic control. The organ can be totally visible, partly covered or completely hidden behind the acoustic doors.